PT6705. 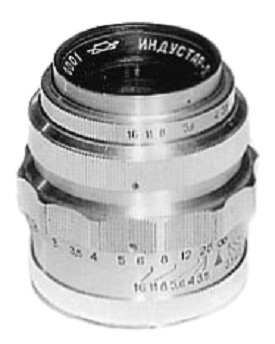 Prototype lens, released by KMZ in 1955 (?). Focal length - 5 cm, aperture range f3.5 - f16. Focusing range from 1 m to infinity. Number of elements/groups: unknown. Angular field - 45º. Zorki (M39) mount. Unfortunately I have no any information about this lens yet. 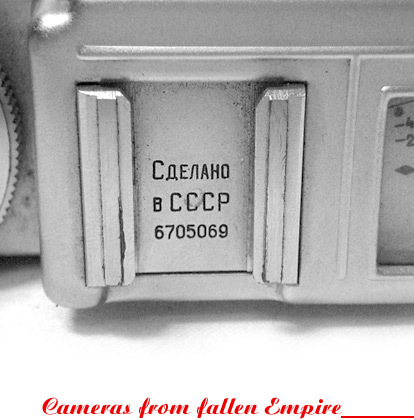 Sample opposite from J.L.Princelle book "The Authentic Guide to Russian and Soviet Cameras", 2nd edition, 2004. PT6705 - Industar-57 prototype lens #0001.